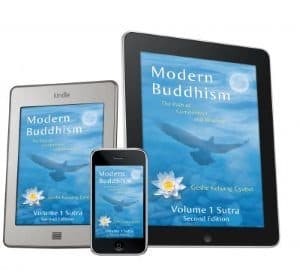 The Book & Gift shop here at Kadampa Meditation Center Washington is an excellent resource for books on Buddhism, ritual items, meditation accessories and gifts. 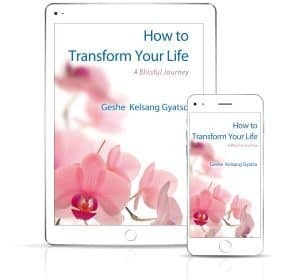 We are affiliated with Tharpa Publications, a non-profit organization that publishes books on Buddhism and meditation by Geshe Kelsang Gyatso. Books are available in English and many other languages. We supply audiobooks, meditation CDs, prayer booklets and a wide selection of Buddha statues and ritual items (such as malas, vajras and bells). Meditation cushions and zabutons are also available for purchase. Accessories, from jewelry and book covers to incense and journals, complement Buddhist practice and make excellent gifts. All profits received by Tharpa are donated to the International Temples Project. Every time you make a purchase from the book shop or Tharpa website, you are contributing to the development of Kadampa Temples worldwide. Tharpa US, located in the state of New York, distributes books in English as well as a selection of products in other languages. The full selection of Tharpa products can be purchased online.